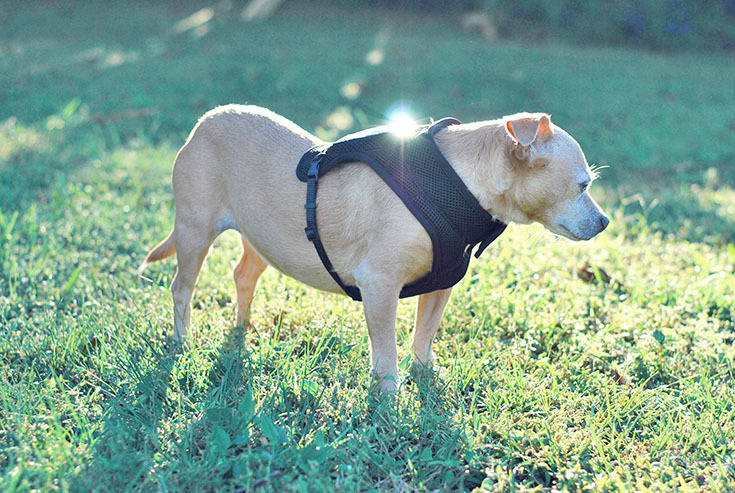 4 Ways to Keep Your Dog Calm During the Holidays! The thing is, it's not that great of a holiday when it involves the doorbell ringing and my dog barking at the kiddos. I don't have a mean dog by any definition of the word. Miley is totally a sweet girl. 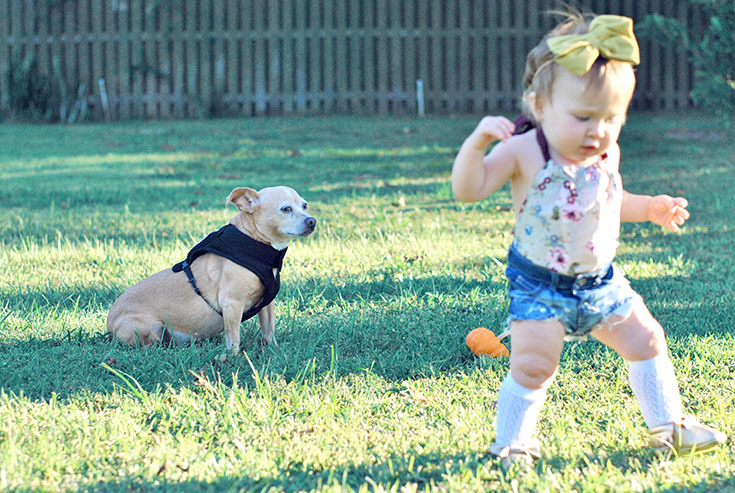 She loves kids, protects Delainey like it's her job, and well, it's just that she just doesn't much care for the doorbell or strangers at our door - which is what Halloween is obviously all about. She doesn't mean to turn into a crazyhead when she hears someone new at the door, she's just being protective and her anxiety gets the best of her - just like nearly 75 million other pups in the world with anxiety. With that said, I think we've found the solution to our doggy dilemma on such a social holiday. This new routine seems to leave my little fur baby feeling more relaxed, which makes our whole family feel more relaxed. Interested in knowing our routine that helps her de-stress? It's actually pretty simple. 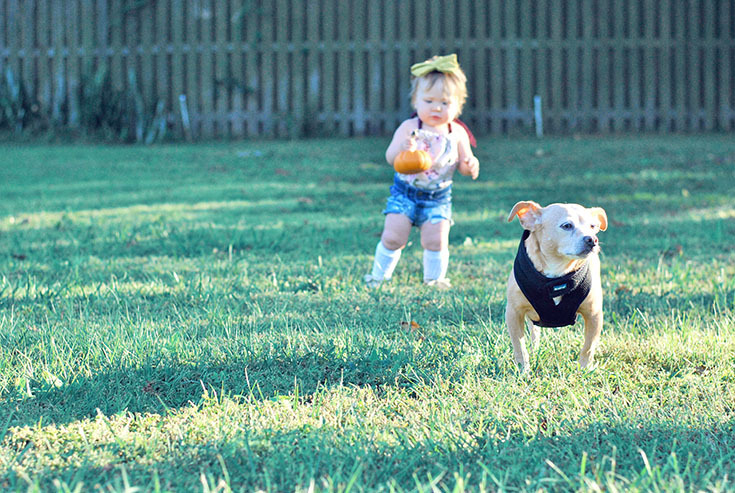 We've started taking her on nightly short walks with Delainey. 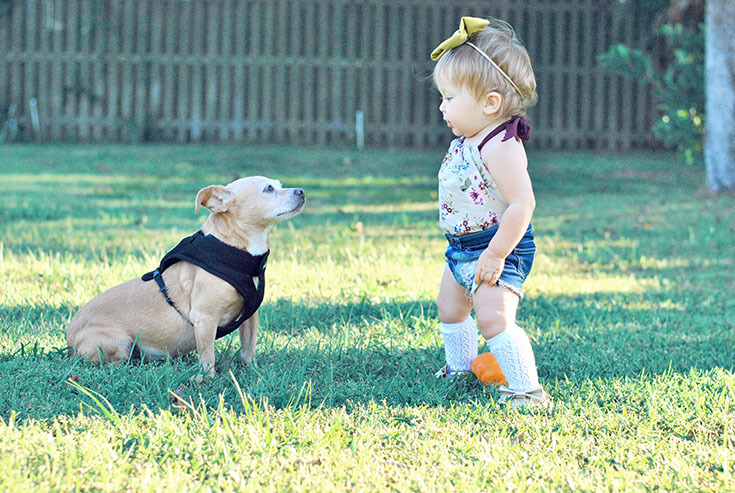 They both love it and it seems to be helping Miley's nerves, she loves to mark her spot and show off while we walk along the street... Delainey loves to chase her and point at every bird we see, so it's a win-win situation for all involved. On that note, her nerves really seemed to be soothed by her new Calmz Anxiety Relief System and that's a MAJOR win! 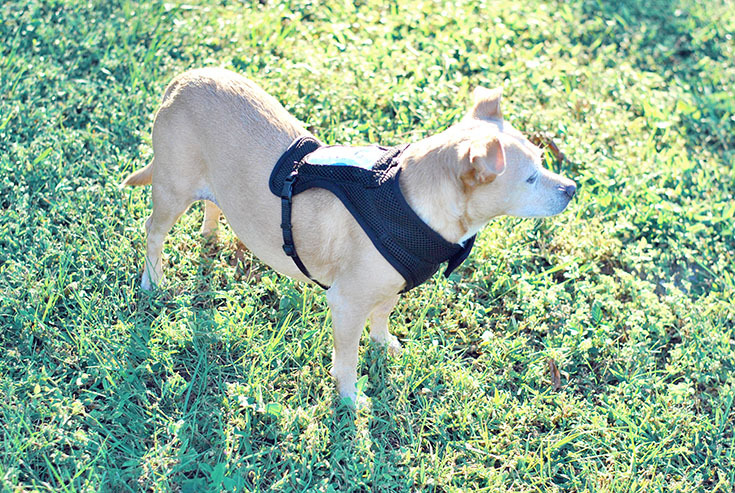 This handy-dandy little device is proven to help relieve dog anxiety. When she's wearing her vest and the doorbell rings, she doesn't flip her lid anymore... which will save us on Halloween night (and during nap time, everyday). Another way we've started to help her de-stress is by providing her with a safe space. Well, I mean, this is something she already had - but now Delainey knows that both her dog bed and our kennel are Miley's little safe havens and she can't bother her there. This has changed their dynamic entirely and I just love that they seem to really be forming a sweet little bond. And the last way we've altered Miley's routine a little is by changing up her diet. We used to feed her more of a kibble based diet but after realizing how processed it all was, we decided to switch her over to the better stuff. She's not only thankful during meal time but her anxiety seems to have lessened some. So tell me, does your pup suffer from anxiety too? 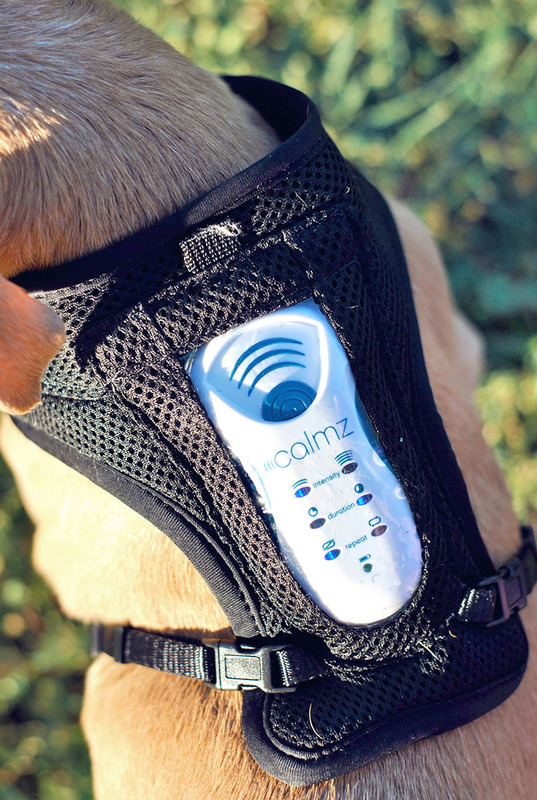 Check out how the Calmz Anxiety Relief System could help your dog keep calm.